Web Design Retainer is a passionate team who are devoted to what they do. We offer retainer services to USA, UK, Canada and to businesses around the world. 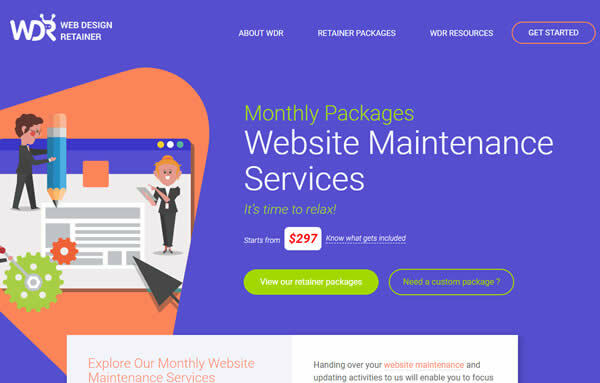 The monthly packages we offer include monthly website maintenance, graphic design packages, and monthly SEO packages. Our retainer packages can also be customized according to your needs. Love their price plan layout, very clean and easy to read.